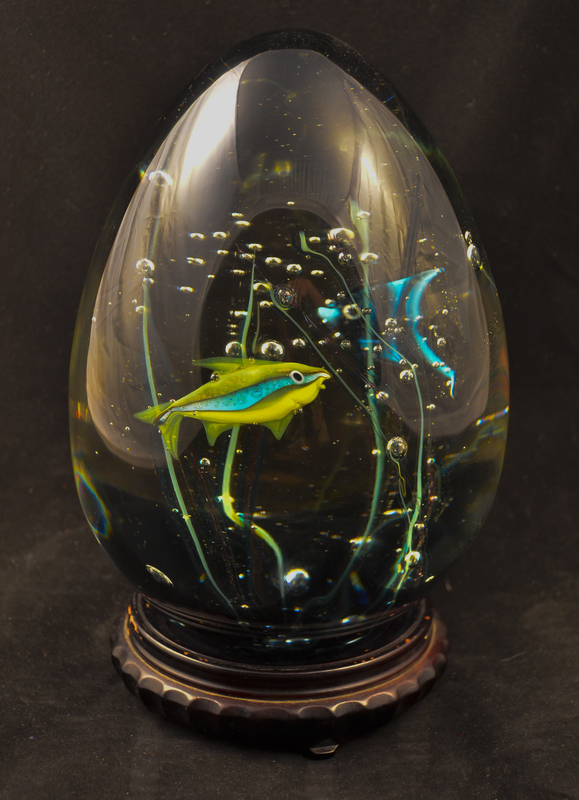 A beautiful example of the Murano master’s work! Born in Venice in 1936 to a Muranese family, Elio Raffaeli lived and studied on the Island of Murano, the glassblowing capital of Venice. At the age of fifteen, he was hired by the Seguso-Dalla Venezia glass factory where he made the acquaintance of Piero Scaramal, his first master. 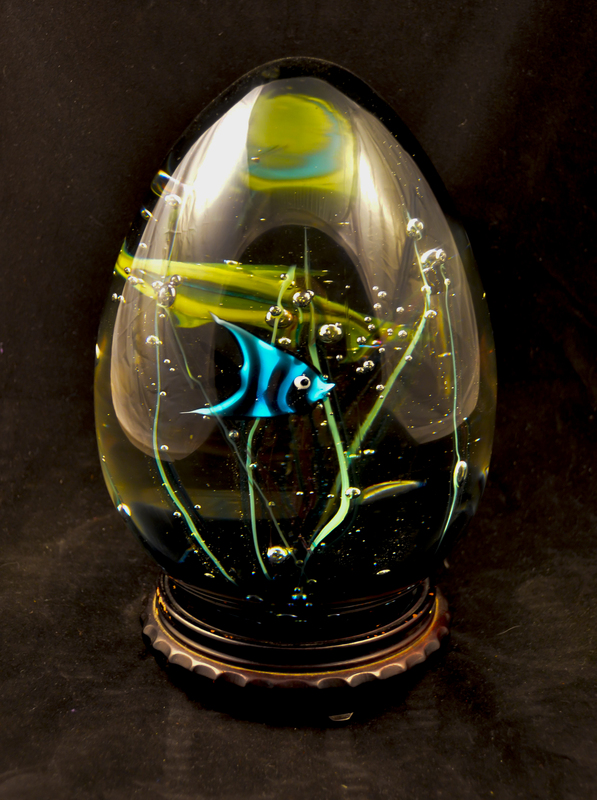 There he was taught the basic secrets of the magic art of Murano. Raffaeli worked with Scaramal for seven years, first as a garzone and subsequently as first assistant, maturing both as a person and as a glassblower.